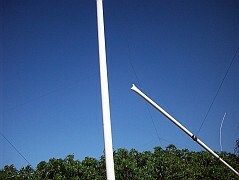 This antenna collapsed on Christmas day 2009. 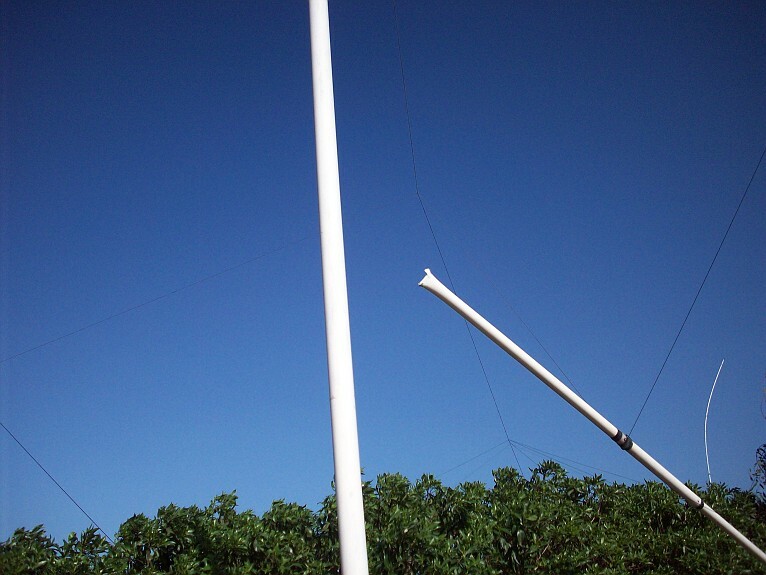 There was a big wind storm in Morocco. 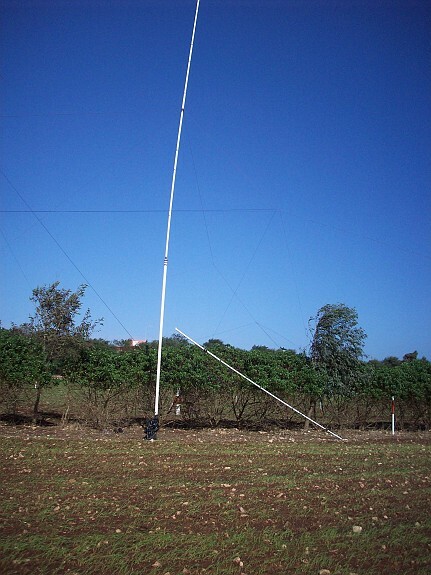 The wind speed exceeded 40 m/S (90mph).This antenna was a modified Force 12 Sigma Ultra160. 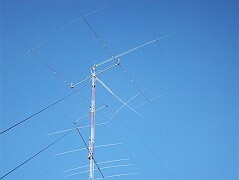 The dipole was T-Bar and center coil loaded. 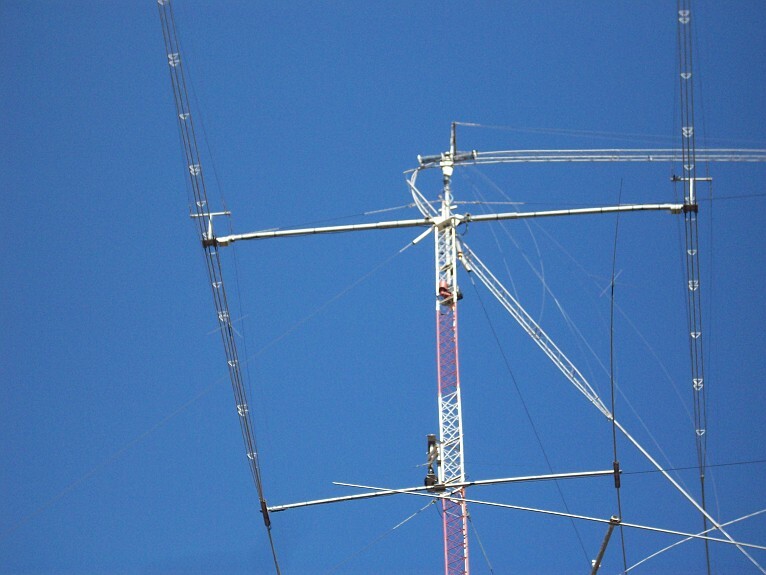 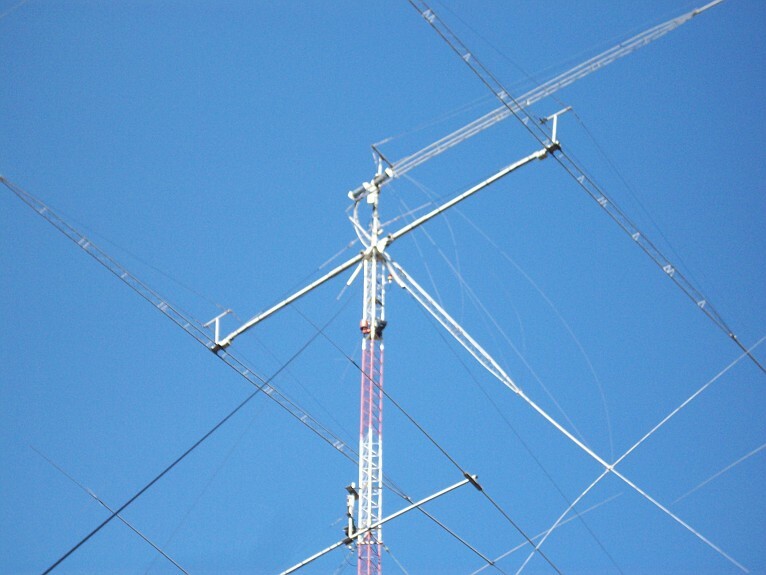 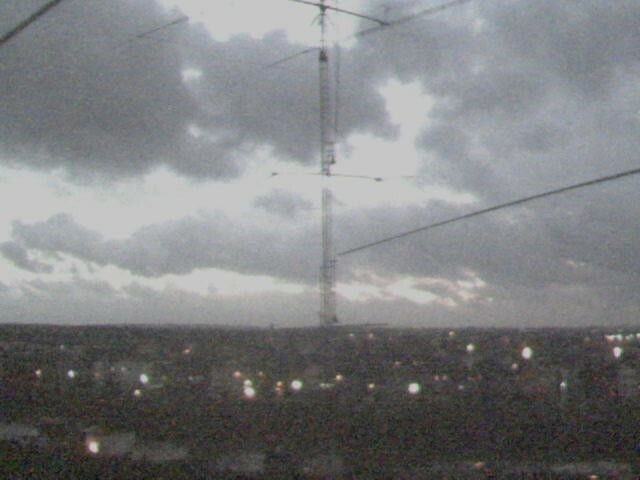 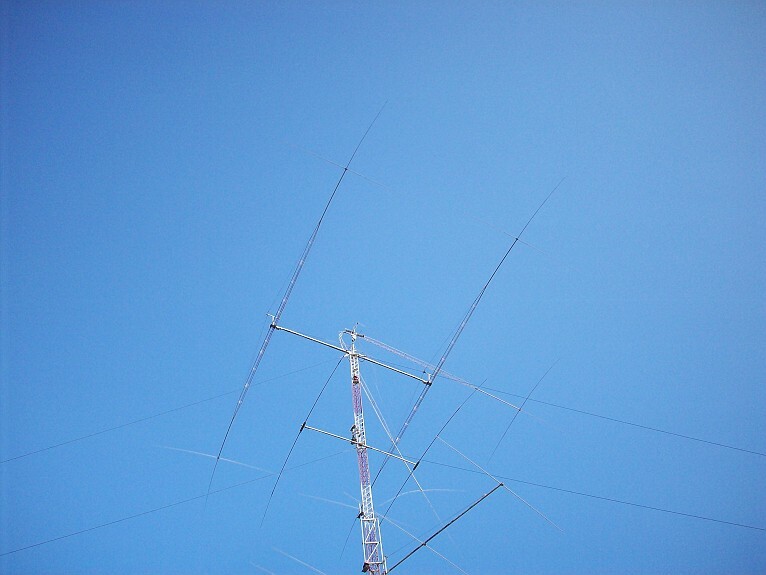 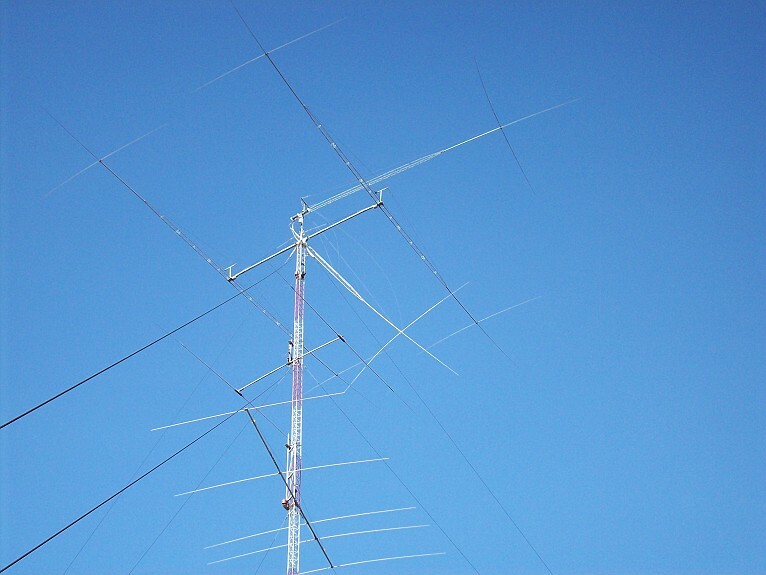 The antenna is 35 meters(114 ft) long and 47 Meters high. 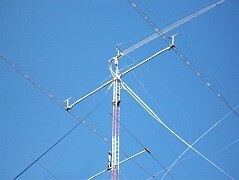 The Left side of the 160 meter dipole sheared a leg and folded over. 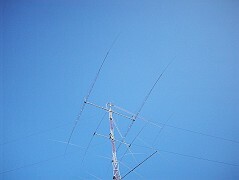 The right side of the 160M dipole is still horizontal. It will be very difficult to remove without a crane. Webcam photo during the storm. 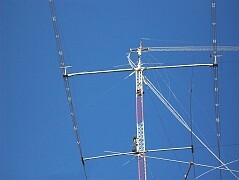 The North vertical is bent as shown on the right. 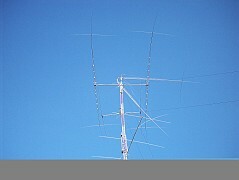 The South 22M 160M vertical had 3 meters of its top section snap-off.